I’ve tested out a variety of fitness bands, from activity trackers disguised as analog timepieces to powerful cardio-focused watches and everything in between. There’s a different audience for every fitness tracker on the market, but I’ve found that most people are looking for a basic band that tracks daily stats and sleep. A solid app dashboard that presents information in an easy-to-digest way is also essential, otherwise there’s no point in tracking all that data. But if an activity tracker doesn’t fit into your life, you’re not gonna wear it no matter how many features it has. That’s why companies like Fitbit and Misfit, which was acquired by Fossil last year, have designed fitness bands that are fashionable and discreet enough to be worn all day and night, from the gym to the office to a night on the town and back to bed, without looking ridiculous. 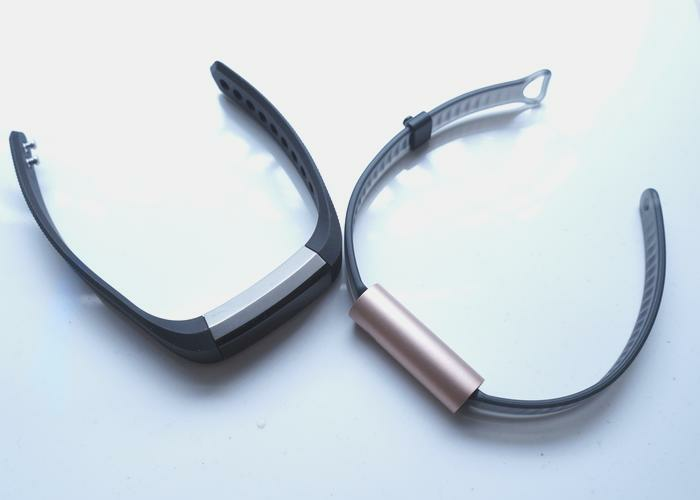 The Fitbit Alta and Misfit Ray have a few differences, namely the Alta has a display where the Ray does not, but both are designed with style in mind for daily wear, and both are in the same price range. The Ray is $100 MSRP (available for the same price on Amazon) and the Alta is $130 MSRP (currently $117 on Amazon). Fitbit also has a better app, and because the company leads the wearables market, chances are some of your friends, family, or coworkers are using a Fitbit and can compete in activity challenges with or against you. The Ray wins on battery life, at eight months compared to the Alta’s five days, but I’d rather charge a device than deal with batteries. Check out my full reviews of both devices—the Misfit Ray, and the Fitbit Alta—and let us know in the comments what your must-have features are in a fitness tracker. Style? Comfort? Heart rate sensor? We want to know.